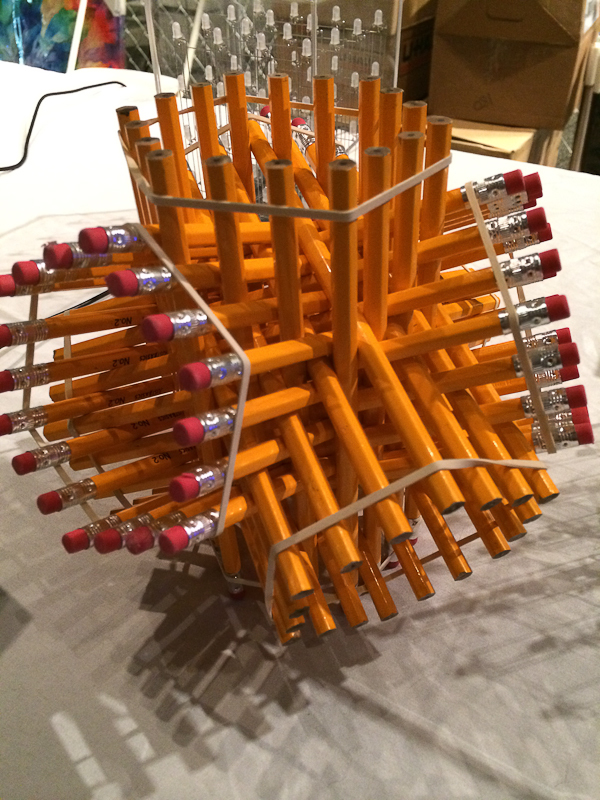 Toronto Mini Maker Faire 2014: where it is cool to be smart. I bet you didn’t know that I have been involved in helping bring the Maker Faire to Toronto. Our last year’s Mini Maker Faire was amazingly successful. 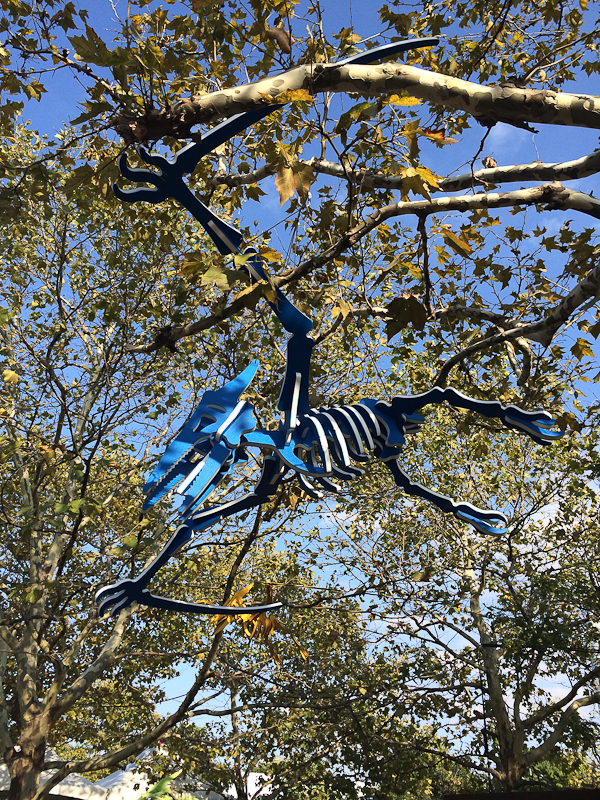 For those of you not familiar with the Maker Faire, it is the greatest show and tell faire EVER, ok with perhaps The Great Exhibition as an exception! 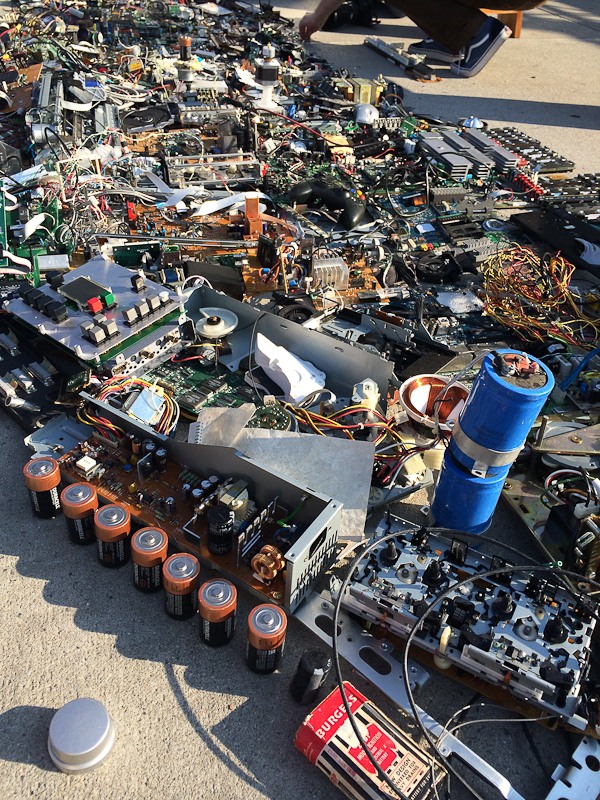 I have been attending the Maker Faire in California for years now and was thrilled when I started seeing Maker Faires popping up all over the world. 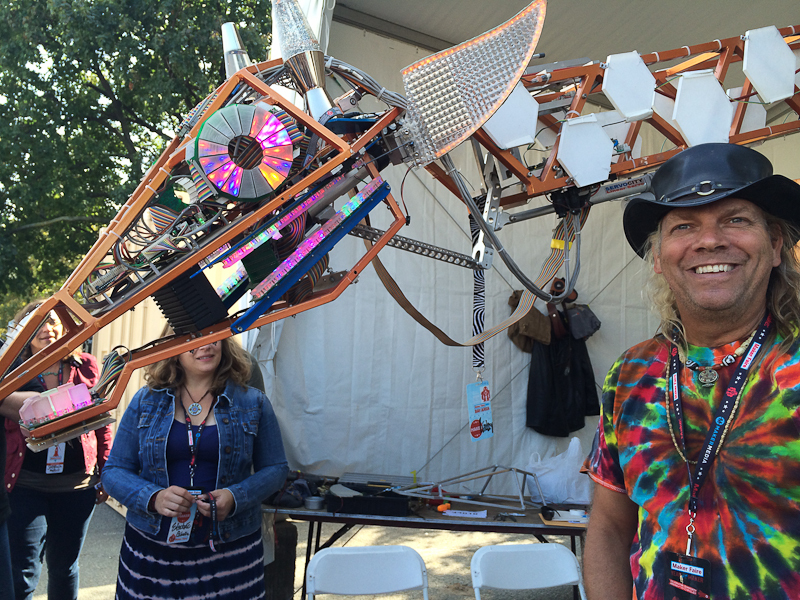 Our 2013 Toronto Mini Maker Faire was amongst hundreds of faires held worldwide. 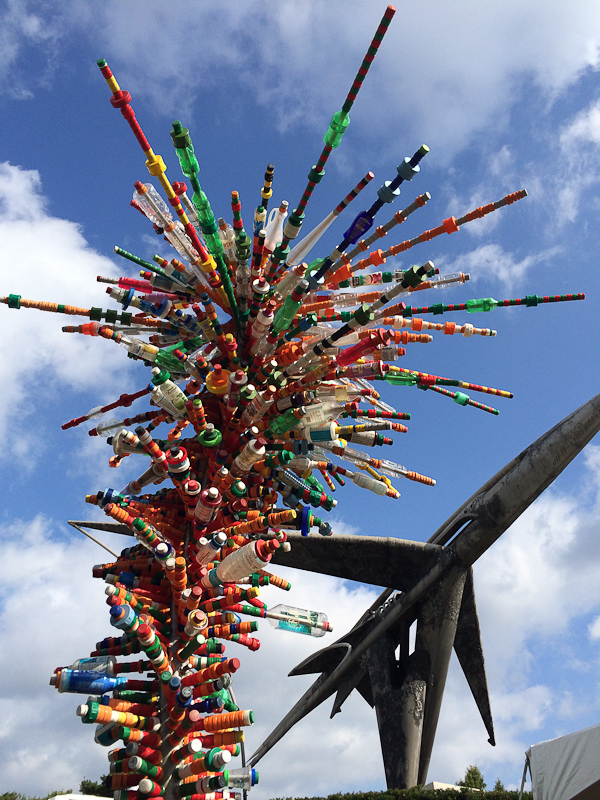 And last weekend New York City’s Maker Faire was the 5th annual Maker Faire in New York City. It was also the 50th anniversary of the 1964 World’s Faire at the same site. The first Maker Faire was held in San Francisco in 2007. 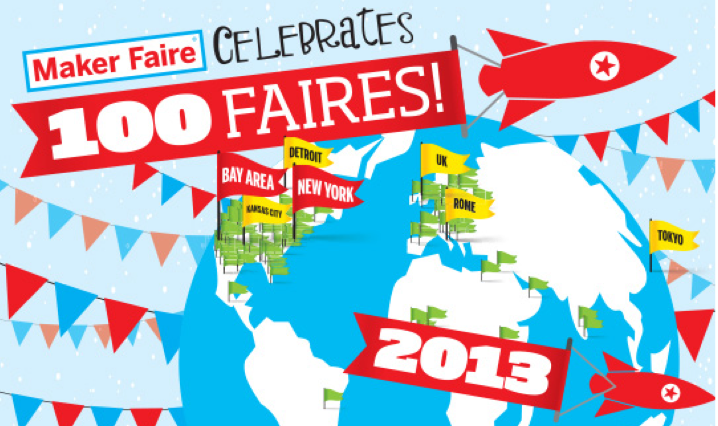 And this year we celebrated over 100 Maker Faires of which 65 were in North America! For those of you not in the know (yes, the 3 of you) Maker Faires are award winning family friendly faires at the intersection of technology, education, science, arts, crafts, engineering, food, sustainability and more. 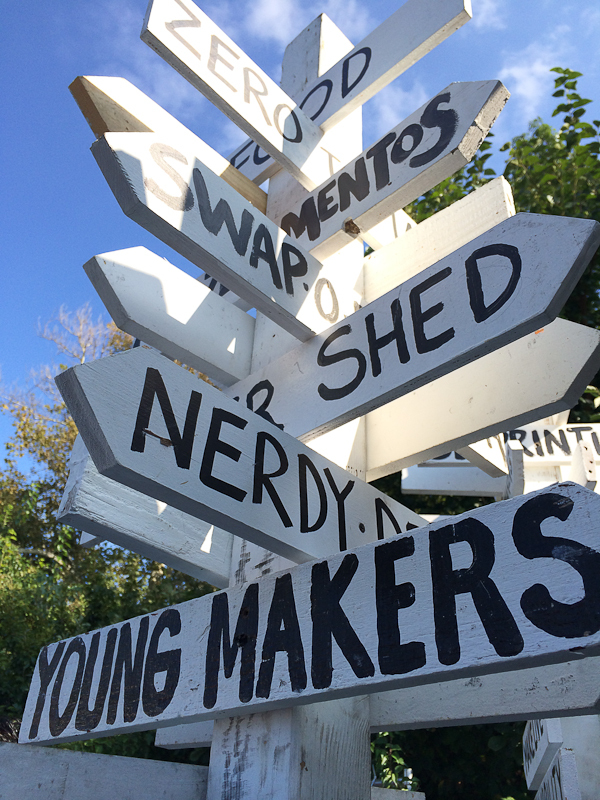 Our Toronto Mini Maker Faire in 2013 was a geek celebration and it was amazing to see so many families, makers, engineers, children, artists, performers – all 4,000 of you! Thanks for joining us and making the Faire AWESOME. Our workshops were sold out, our makers incredibly busy demonstrating their creations, we ran out of space, it was crowded … it was insane… and electrical! This year we are back at it and planning an even bigger faire. And we hope you will join us because it will be incredibly fun and you will be at the center of the third industrial revolution 🙂 The idea of making something ourselves is not new. We have been makers and creators for centuries. 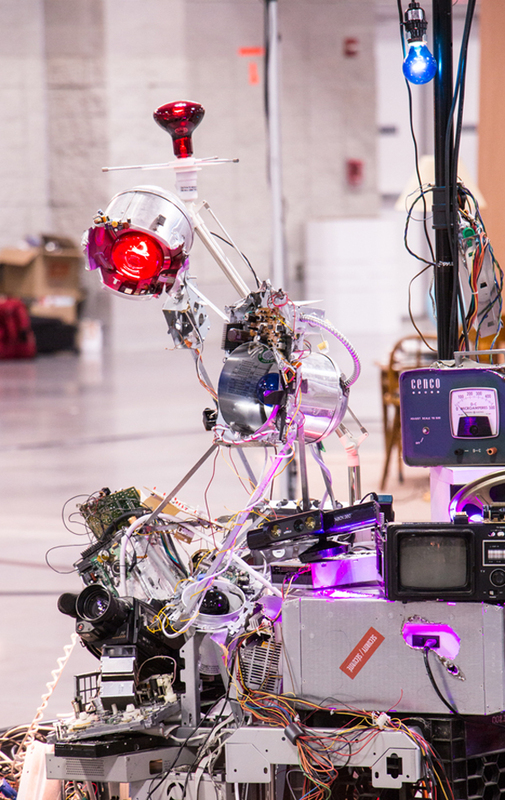 But making viewed through the lens of the Maker Faire is about bringing together a set of disciplines that at first look don’t relate to each other: arduinos and music, engineering and light, micro controllers and (robot) giraffes. And honestly, where else would you see incredible projects, meet fantastic makers and find yourself amongst thousands of maker friends aged between 9 and 90! So this year, don’t miss the Toronto Mini Maker Faire happening in November. It is free. And it will be awesome. Registration: is open now and is FREE. 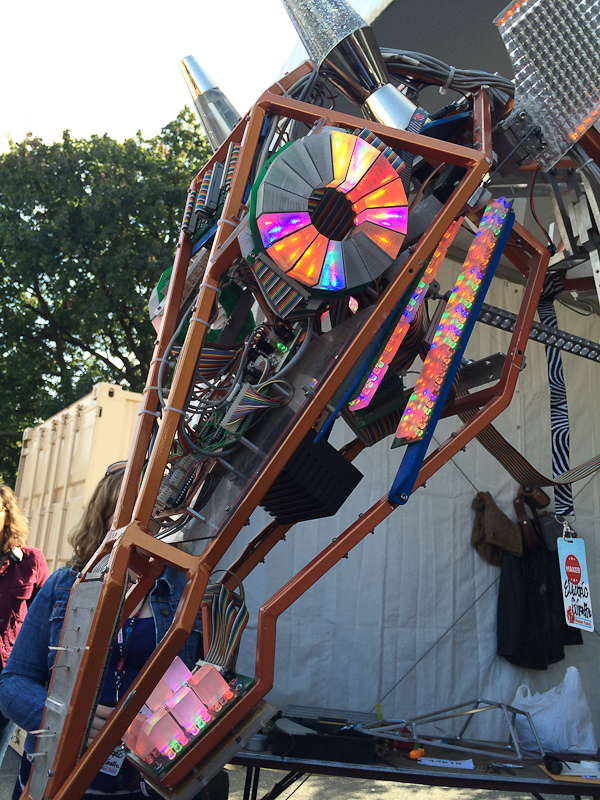 And just to get you dreaming, here are highlights of the New York Maker Faire 2014 which wrapped up last weekend. I had a blast and so will you in Toronto in just a few weeks! 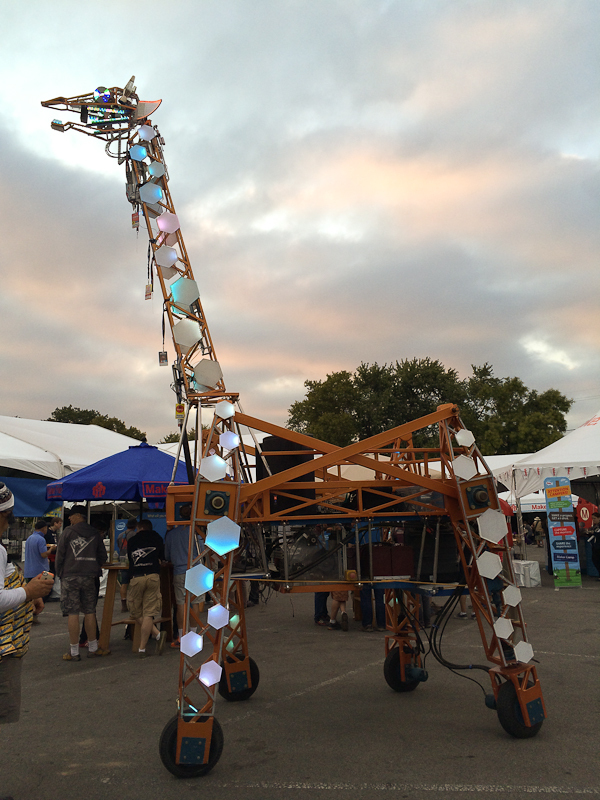 Russell the electric giraffe is probably my most favourite Maker Faire project! I have been watching Russell grow since 2007! Here is an awesome trip down memory line with Russell. 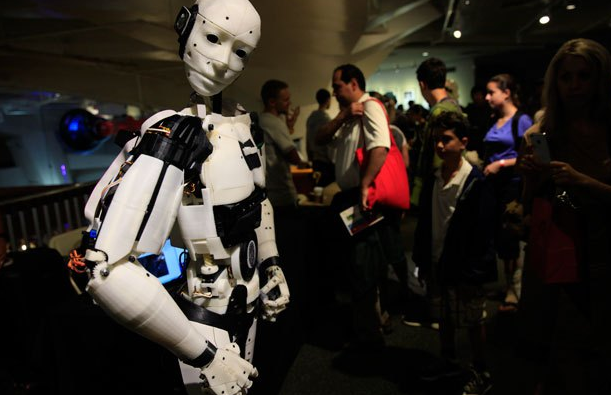 The InMoov is open source, 3D printed and lifesize! Photo by Becca Henry, reporting by David Beauchamp. 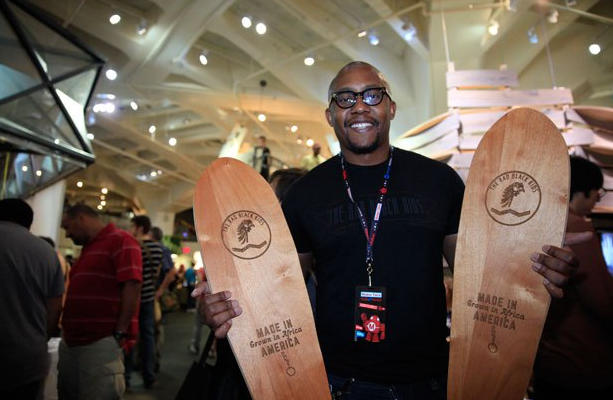 Thulani Ngazimbi from the Rad Black Kids makes custom longboards and guitars. The group also plants a tree for every product sold. Photo by Becca Henry, reporting by David Beauchamp. 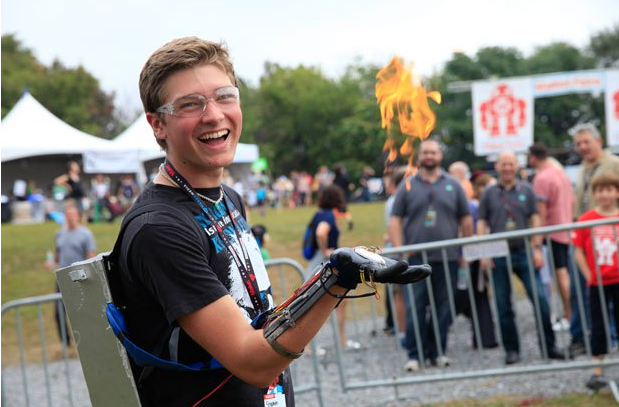 Stephen Hawes shows off his wrist mounted flamethrower. It is controlled by an Arduino board and uses a modified taser circuit for ignition. Photo by Becca Henry, reporting by David Beauchamp. 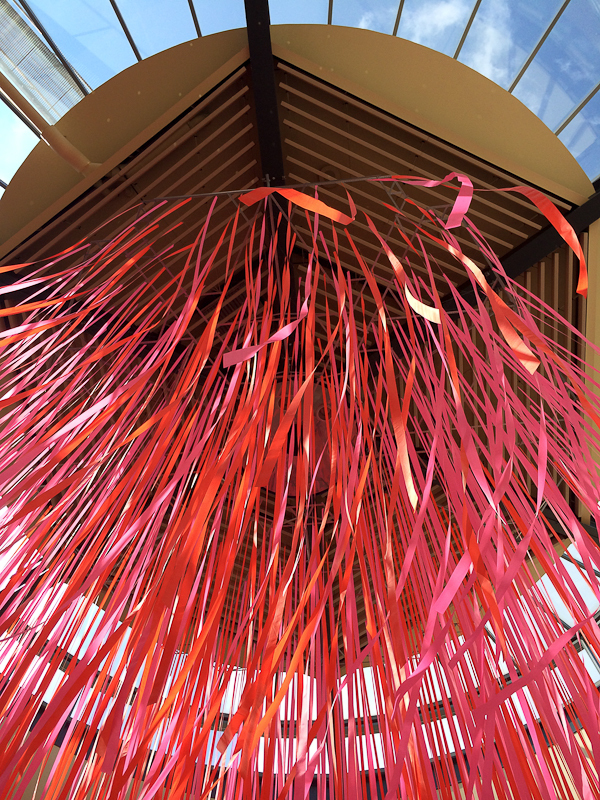 One of my favourite maker at the New York Maker Faire was Justin Weiner from BWArchitects with his artistic light installation. I helped him set up on Saturday early morning. I don’t have a video of his faire installation in the evening but this Tribeca video will give you an idea of its awesomeness. So mark your calendar for the Toronto Mini Maker Faire and join us to celebrate tinkerers, inventors, and the next generation of makers, believe me when I say it will restore your faith in humanity.